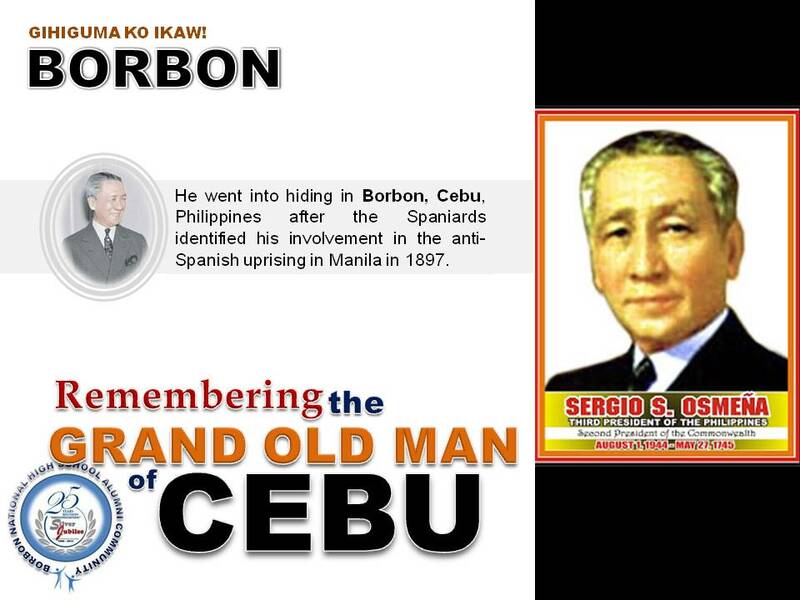 Blogs about the past history of Borbon. 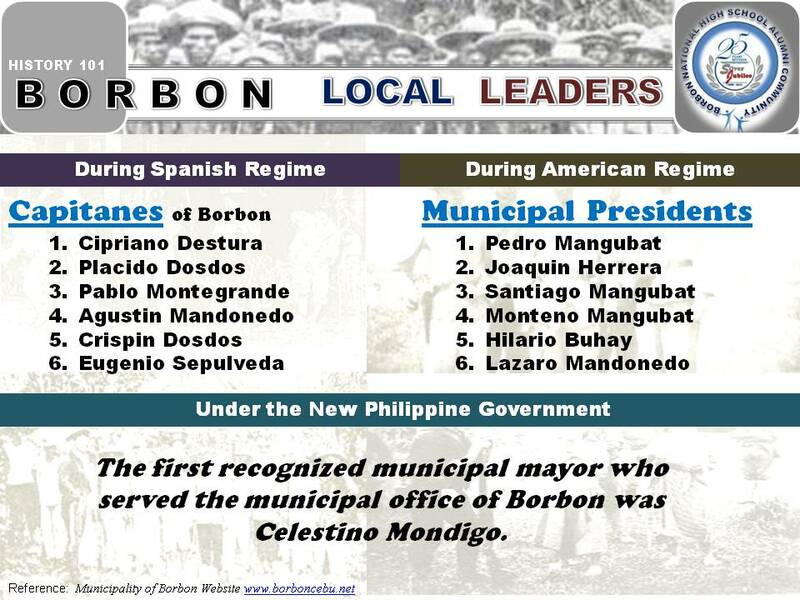 Little did we know about the history of Borbon and its people in times of yore. There are no specific accounts for Borbonanons’ way of life during the Spanish or American eras, even in the post World War II period. We don’t even have a hub (municipal archive) where young generations can easily peruse in gathering minutiae or searching niceties and facts about our beloved hometown and our people. It turned out, Borbonanons nowadays rely only on diminutive details from oldies and some of them merely based on partial recollection of thoughts. As our take, we also want to impart something shared by our ‘katiguwangans’ and post it here so others can take the pleasure of reading or perhaps sharing. Let’s take a pick and start from our town’s historical landmarks. 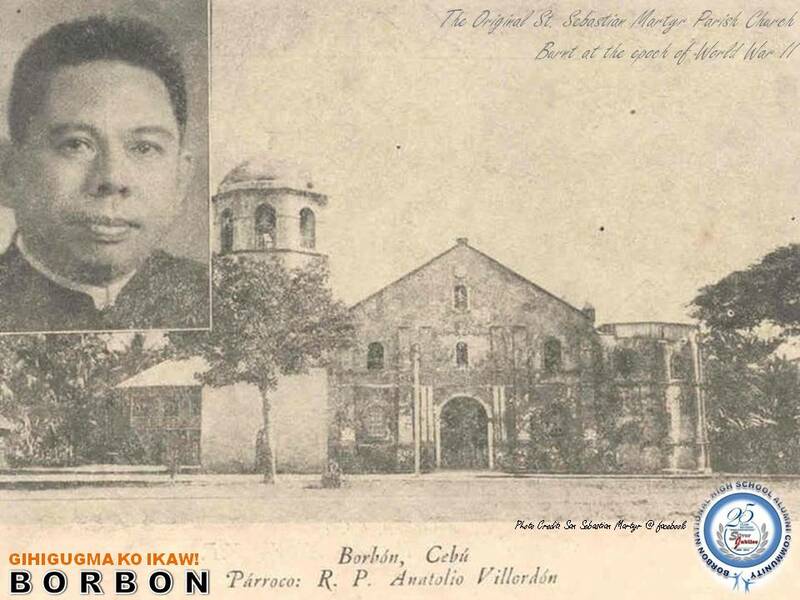 In colonial times and during the Spanish era, Borbon was established as a parish by the Archdiocese of Cebu on September 15, 1862. The parish was under the Vicariate of San Guillermo de Aquitania and St. Sebastian, the martyr, is its patron saint. The common attribute for our patron saint was that he was tied to a post, pillar or a tree, shot by arrows, clubbed to death. 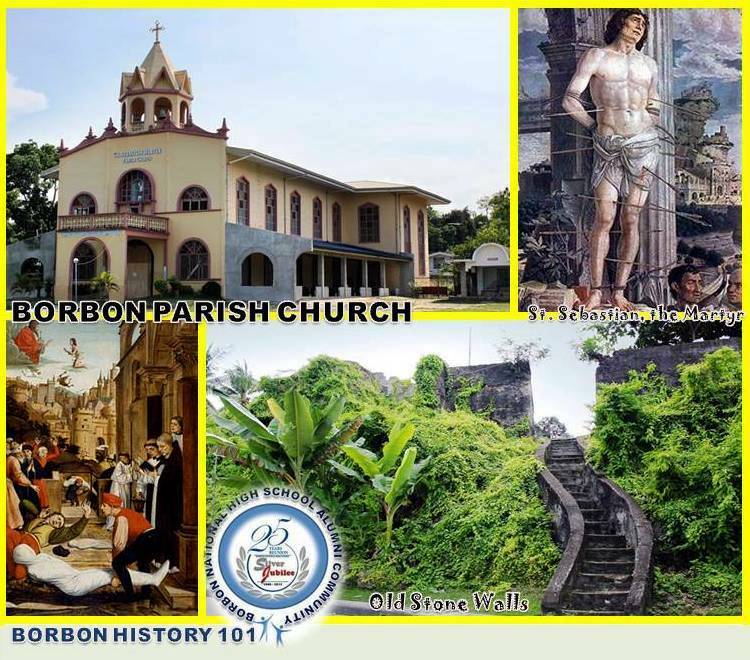 But what’s really the story of St. Sebastian the Martyr, the patron saint of Borbon. Due to the miraculous works of St. Sebastian and as fondly introduced by Spanish clerics to our community, Borbonanons utterly embraced the patron saint. Borbonanons in early times were believed to be very devoted and pious Church goers. 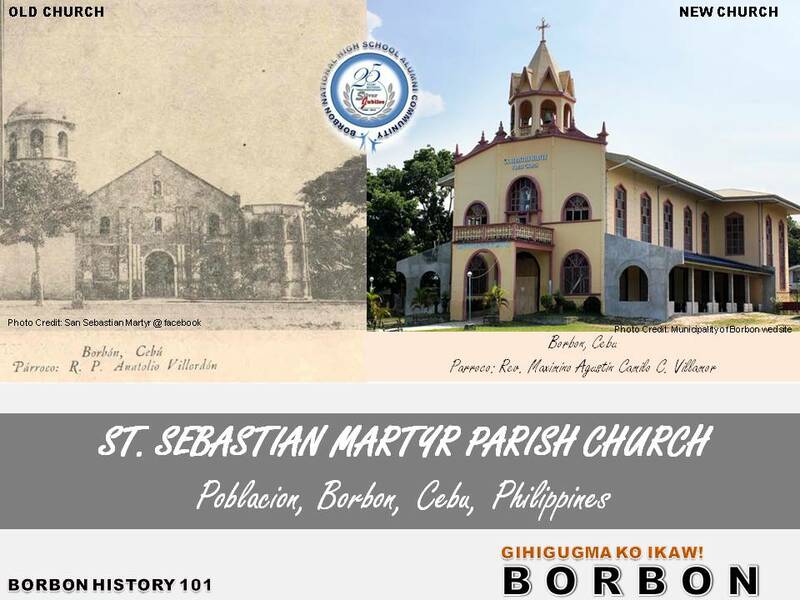 The original church of Borbon, unfortunately burnt at the epoch of World War II and it was believed to be one of the oldest churches in Cebu. Vestiges stayed as the sole taciturn witness are old stone walls which were now developed by our LGU into a town’s heritage to preserve our unique history and culture. Another heritage left after the burning of our old church was the century-old bell, which we can still find at our church’ bell tower. Next pick will be the Municipal town hall. Bet the municipal building we have was not that old as you think? 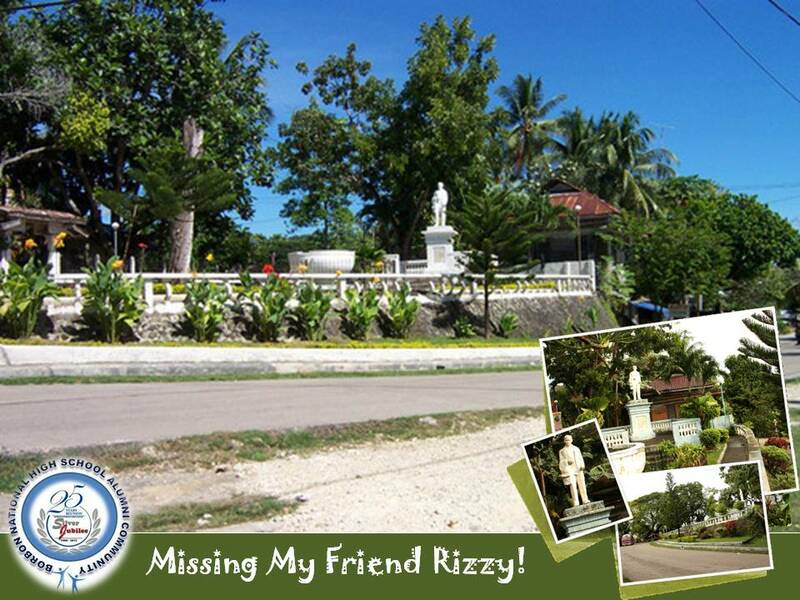 Do you have old stories for our beloved hometown? 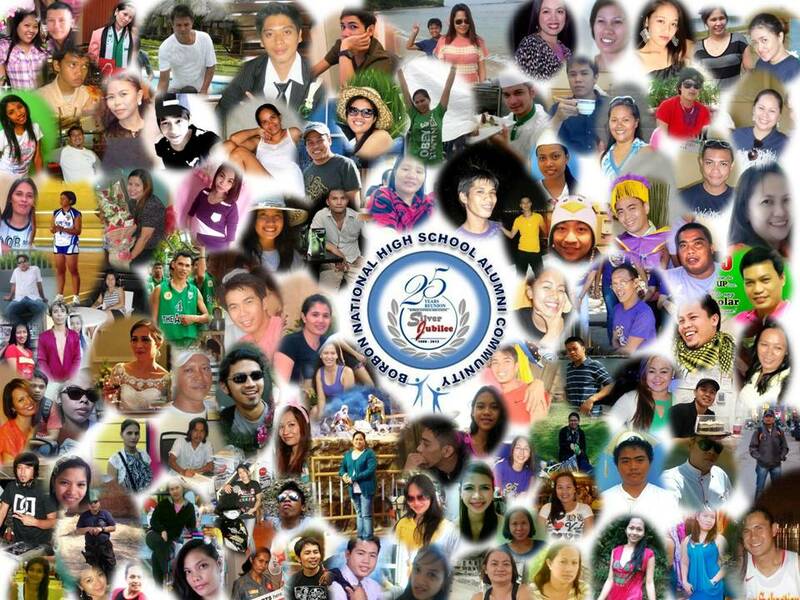 Share your stories here. The name ‘Suba’ may get more familiar in times and Silmugi, as it is now officially claimed, eventually elapsed in the passing of time, rooting it way-way back. That is why some generations in Borbon may find it new-fangled when the name Silmugi is being referred to this waterway, rather than the proverbial Suba. 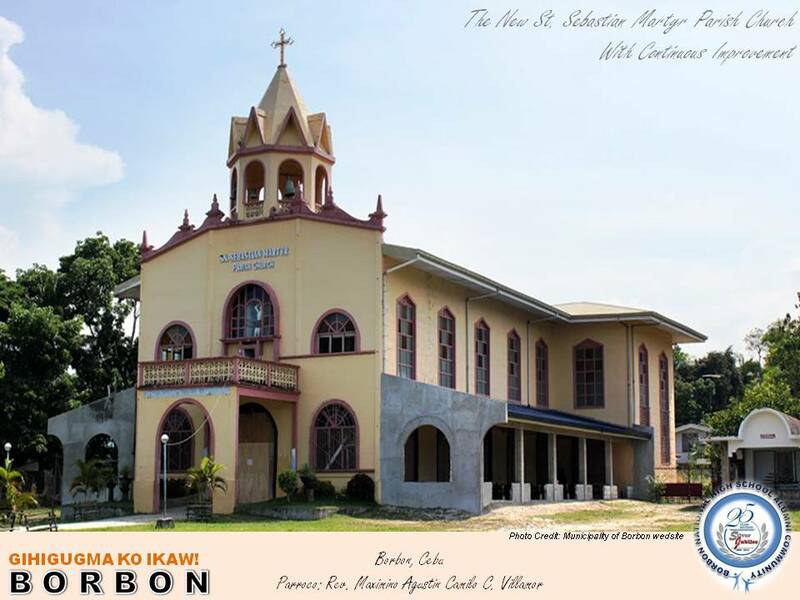 With the extensive research by our local government unit to map out the remnant of times, Silmugi as it was widely recognized by the whole of Borbon during olden times (Spanish era, Japanese occupation and American regime) has reclaim its original name. 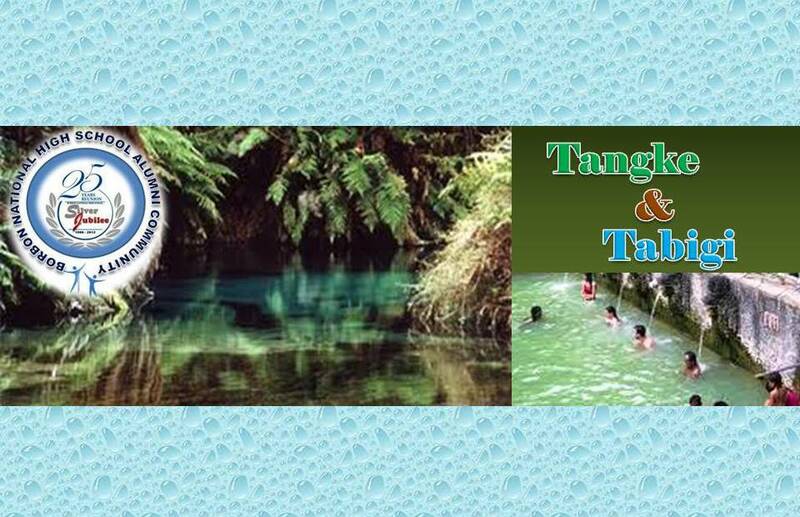 It is good to note though that young generation can now refer this enchanting river to its unfeigned name SILMUGI. 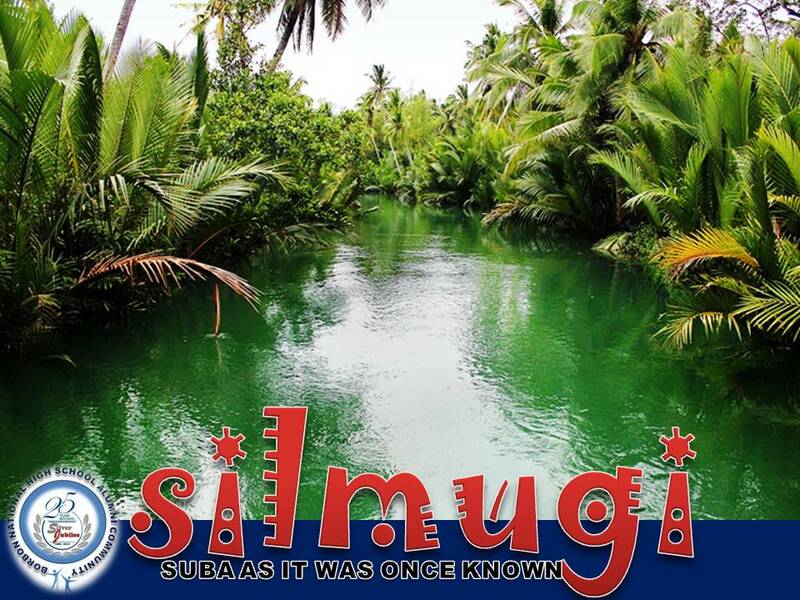 We don’t insinuate the name ‘Suba’ to confuse everyone but for us Borbonanon to remember that in the annals of history of our beloved town, Silmugi River was once called by local folks as merely Suba only and not Silmugi. 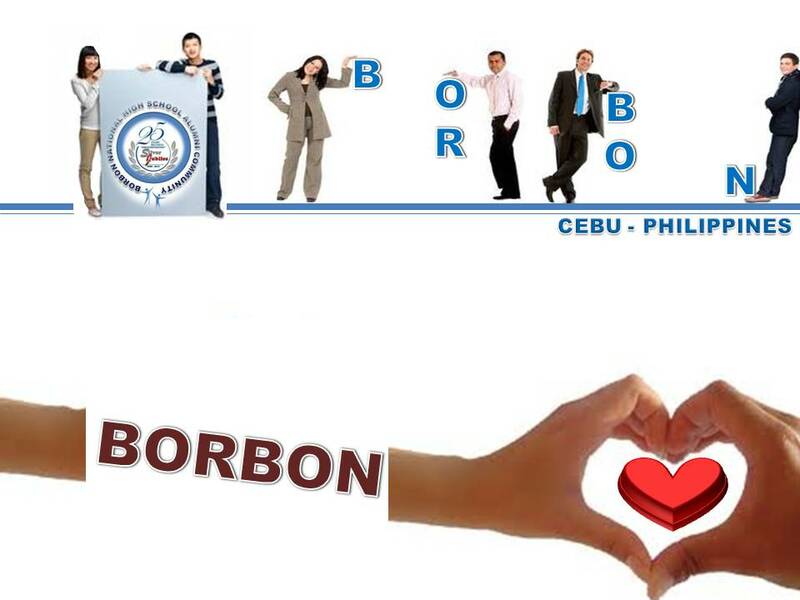 We, the young generation of Borbon, understand the common word based on what was passed on by our forefather wherein the term became a common lingo eventually. Not knowing that by definition, Suba is just a Spanish copula (meaning river) which has become a part of the young Borbonanon lexicon. 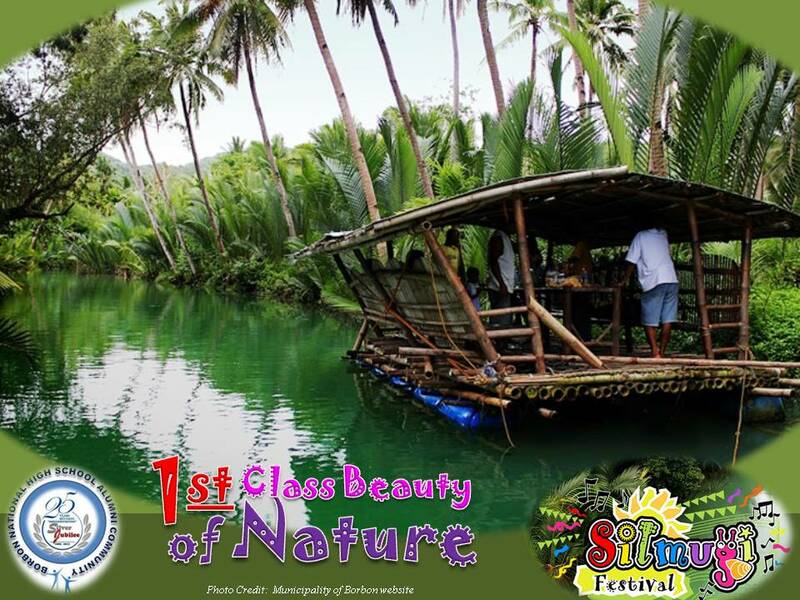 We don’t even know the word Silmugi until it was introduced to us by our LGU and of course with the more profound celebration of Silmugi Festival. 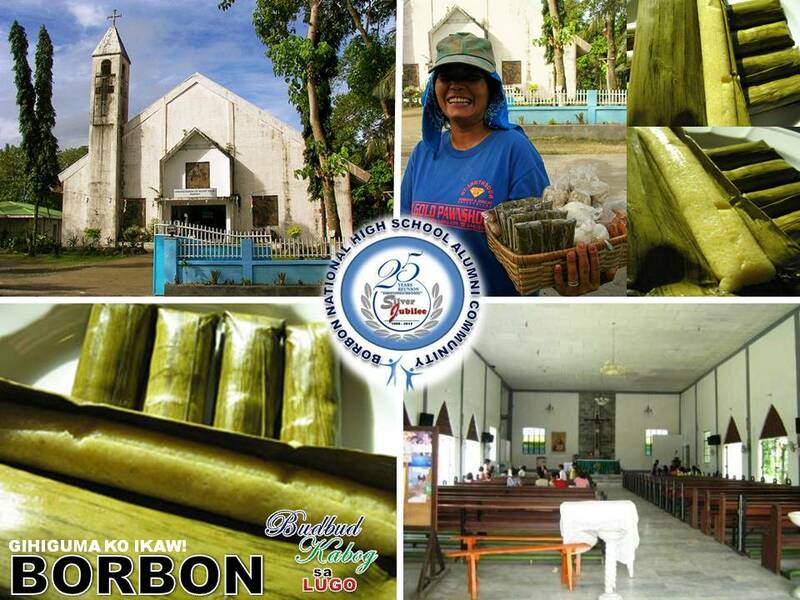 Anyway, what’s more prominent than the fact that Borbon has increasingly attracting more visitors & sightseers. The town’s festival was officially formed, environmental landscape has changed & even aesthetic places were eventually developed. 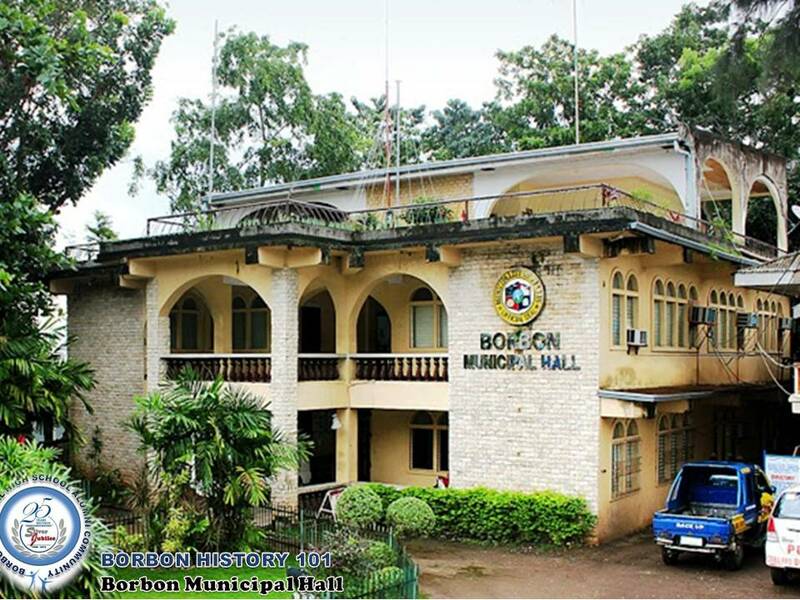 Borbon is even more recognized with historical landmarks, beautiful beaches, remarkable caves and of course, astounding and friendly people.